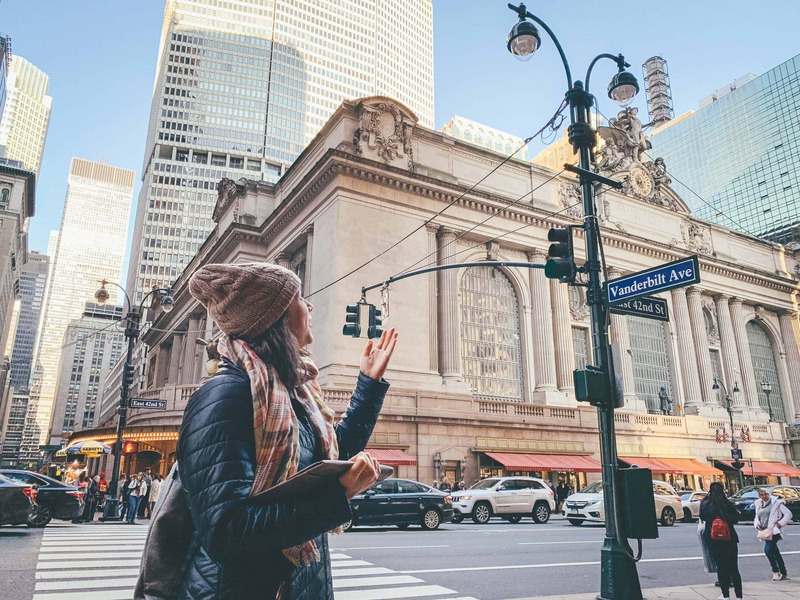 Whether you’re here on business or just visiting to cross some city sights off your bucket list, New York is for single travellers: A place where you’re never alone, but can make decisions for yourself (and no one cares). New York bliss. 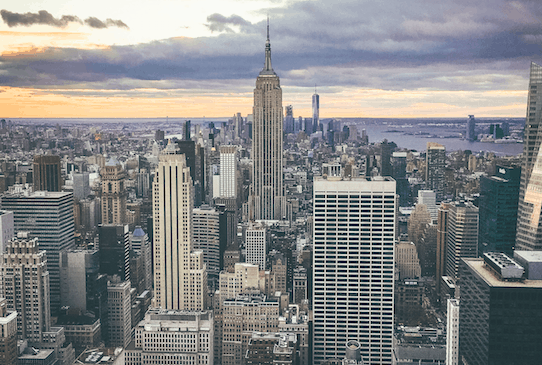 NYC has something to offer everyone, but here are a few things to welcome you to the world of New York for single travellers. Don’t be scared. Take public transportation. 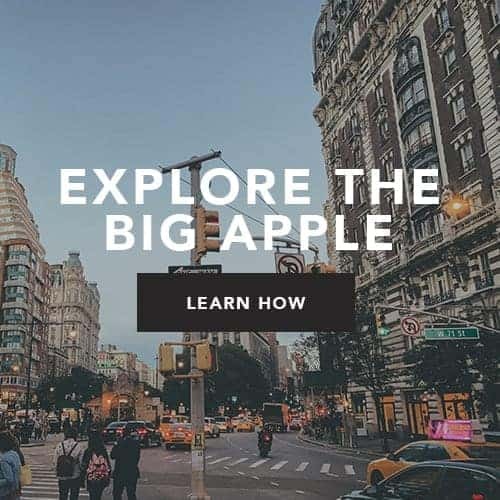 Not only will it save you money (and potentially a new pair of shoes), but it will give you a deeper appreciation of the people and the construction of this city. Get it? Deeper? As in tunnels? I could go on and on about Subway tips for tourists, but I’m going to leave that to this in depth article. Read it. Memorize it. Stand clear of the closing doors, please. Lodging can be daunting as it’s sometimes the most expensive piece of the travel puzzle, depending on the length of your trip. 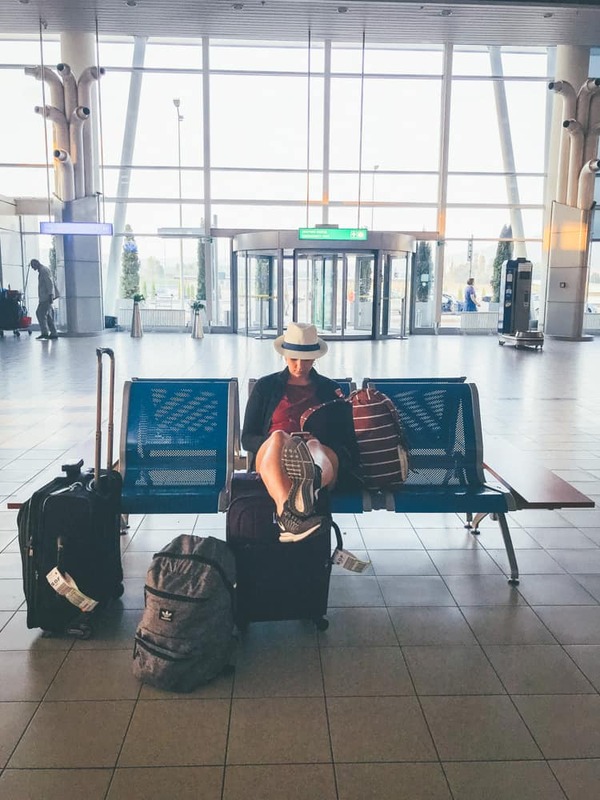 As a single traveller, you most likely won’t be wanting to drop $100+ a night for a hotel room. Other options? As we all know, hostels are a fun way to meet other travellers when you’re alone. 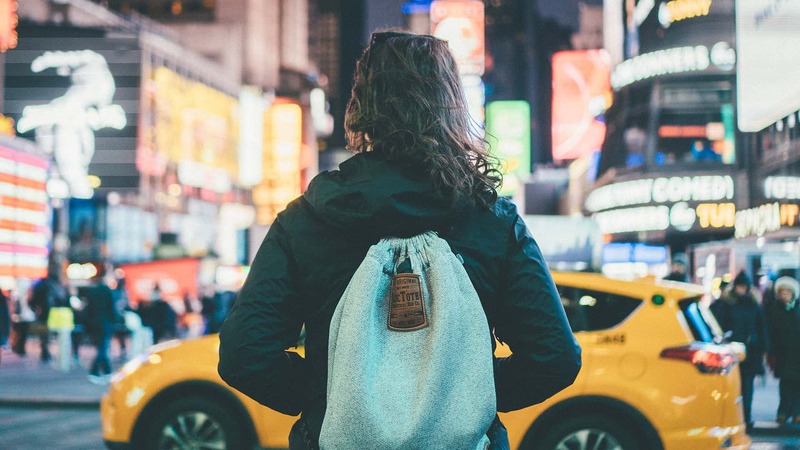 If you’re looking for hostels directly in Manhattan, the prices are sometimes in line with hotels. Be sure to widen your zoom when looking at a map! There are some really awesome hostels in Queens and Brooklyn that offer way nicer amenities and are generally $25/night. Compare to the subway map, as long as it’s off a subway stop, you’ll be in the chaos of the city soon enough! Game changer. Sometimes I think about how people traveled pre-AirBnb; It revolutionized how people experience the city! 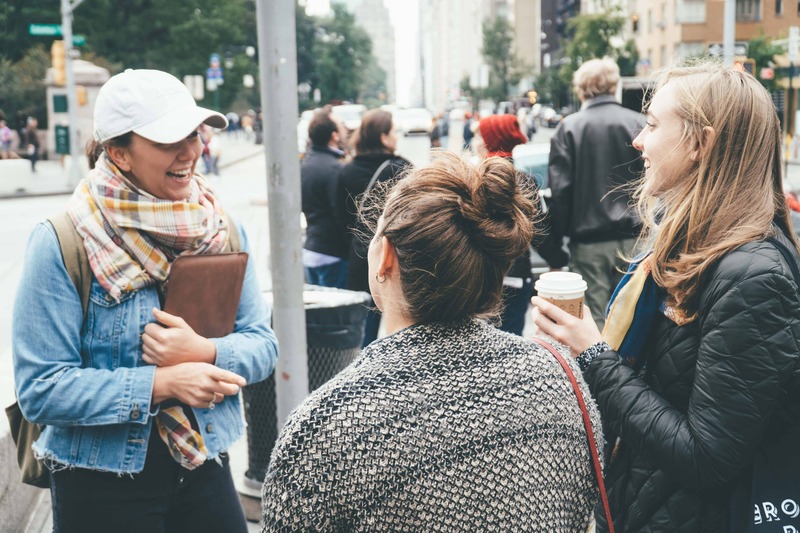 Having a local at your fingertips for recommendations, a home-base to make coffee in the morning, and the ability of walking down your front steps to a neighborhood rather than Times Square – that’s what makes a New York City experience real. You can average about $30/night in a New York Airbnb, but don’t forget about the extra cleaning fee when you book. Same with hostels, zoom out to take a scan at rooms in all 5 boroughs. Staying in these areas will get you some better prices! A built in friend group of travelers just like you! If you want to get away from the family’s with fanny packs, take a tour of a less popular area Full Disclosure: We earn a commission if you click this link and make a purchase, at no additional cost to you. (it’ll widen your horizons anyway). At the very least, you have the attention of a local for at least an hour or two. Ask for recommendations; I’ve sometimes planned an entire trip that way! Great for a rainy or cold day, but also one of the top attractions in New York. You could spend a whole week touring NYC museums, so pick which one will appeal to you the most. You can wander around by yourself for hours, which I tend to do even if I come with a group! Pro Tip: The Natural History Museum is actually “pay what you wish” when you buy your ticket in person! Don’t feel bad about skipping out on that hefty $23 recommended admission. There’s a family of five right behind you that will fall into it’s traps. If you’re a sucker for jazz, like me, but have no idea where to go, why not go to the center of it all? Located at Columbus Circle, you can find formal concerts here, but the best thing to do alone is Dizzy’s Coca Cola Club. Grab a glass of wine, sit in the back and take in the amazing talent. It’s a low lit, single traveller’s dream that will leave you feeling classy and fulfilled! Because if you have to do one touristy activity, this should be it Full Disclosure: We earn a commission if you click this link and make a purchase, at no additional cost to you. . For sweeping views of the New York Skyline and maybe a moment of silence overlooking the chaos, Top of the Rock provides you just that. Ask a stranger to take your photo (they’ll probably ask for one back), and then just take it all in. It’s way better than the Empire State Building, just trust me on that. If you’re staying in an AirBnb, you’ll probably get a marketing email or two leading up to your trip, but AirBnb Experiences are open to anyone! 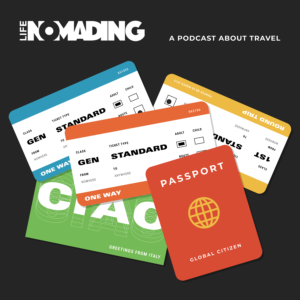 They’re an awesome way to get a unique experience that’s off the beaten path, and with a host that is passionate about a niche topic. Take a tour, make a souvenir, or try some food that you wouldn’t normally have encountered! For someone new to New York, I wouldn’t recommend relying on CitiBike to get you from destination A to B (those cab drivers can be pretty scary on the road). However, a nice ride through the park gives you a fun activity and a great way to see as much as possible. Central Park is a great one to bike through, but for a park a little less obvious, try out Riverside. There’s also a bike path closer to the Hudson which runs from 145th street all the way to the Battery. Get on it and go! …Just be sure to dock your bike every 30 minutes so you don’t get charged. A day pass is $12 for unlimited 30-minute rides, or a single 30-minute ride is $3. Can’t come to New York and not see one, right? There are a lot of options for discount tickets on the fly. The easiest one being on your phone: Download TodayTix. Right now. Just do it and see what it is. Another option includes going to the theater’s box office as soon as it opens (do a little research and make sure they do same day rush tickets before going). If all else fails, line up at the TKTS Booth. They sell same day tickets that are 20-30% off: Worth a shot, right? 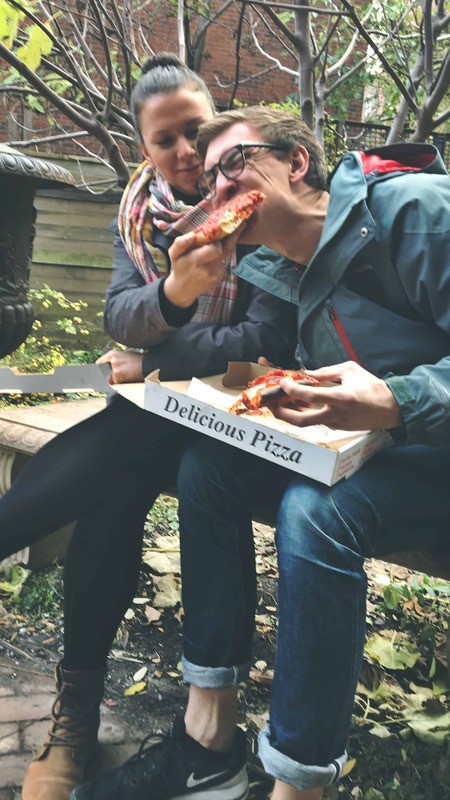 When friends and family visit, they probably think all I do during the day is eat… I’m just very passionate about food offerings in New York City. These are the places that I can recommend on a medium budget (no, not Michelin restaurants), but will get you out of the Times Square Applebee’s. I love a good taco/marg joint, but this is the perfect blend of quick tacos and a full-on restaurant. 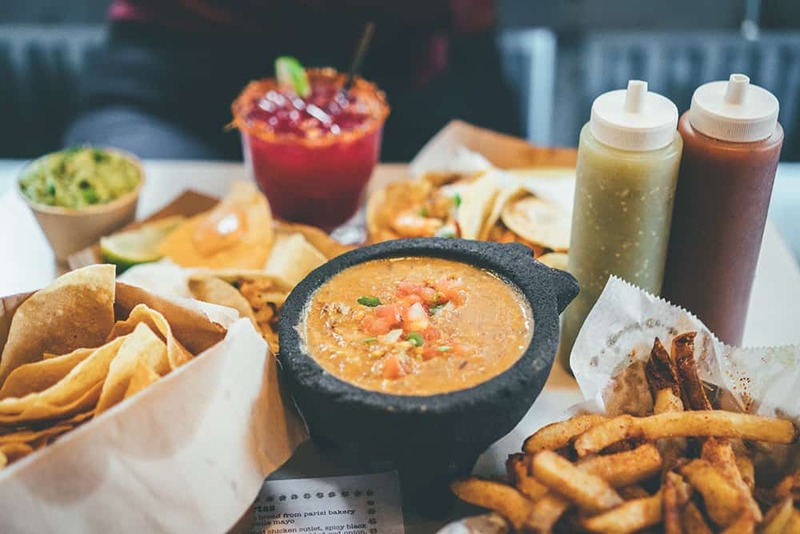 Perfectly placed between Union Square and West Village, stop in even if just for the chips and queso (And obviously some tequila, if you’re into that). Top Secret Tip: They have this smoked barbecue sauce that sits on the tables. PUT IT ON EVERYTHING. Mix it into the queso, pour it down your throat, whatever it takes. If I could buy it by the gallon, I would. #1 favorite place in the city. Don’t even think about going for Sunday Brunch since they don’t take reservations, but if you go on weekdays for any meal you’ll be able to walk in and snag a table (or bar spot). The cocktails are amazing, but the food is the winner. Southern with a twist, comforting, and large portions. Hello, leftovers! I’ve never left without complete satisfaction from the grub or the service. The BEST pizza. It’s not what you imagine as typical NY style pizza, but it’s the style of pizza that I want while in New York (that counts, right?). You can usually see the line stretching down the sidewalk, but well worth the wait. Grab a square, take in those tiny peps, perfectly crafted sauce, and fluffy dough. I can smell it a mile away. The perfect end to an unsuccessful “shopping” day in SoHo. You may have seen their name at some point in life. This place is a cheese-lover’s dream. Fun cafe on the ground level, but the magic is downstairs in the cellar. Amazing, affordable happy hour with a good selection of wines to pair with your mini cheese board, but you CANNOT leave without trying the Mac and Cheese. Mom’s mac is good and all, but woah. I have dreams of this pixie dust infused mac. I was originally drawn into this place during my search for queso that could compare to my tex-mex loving roots. They did not disappoint. Neither did their drinks or burritos, which have french fries in them… casual. Playa Betty’s also broadened my food-loving horizons to include tachos (tater tot nachos, brilliant) and ice cream churro sandwiches (I mean, come on). If it’s nice outside, they open their windows and create a patio. Perfect for Upper West Side dog, people, and dog people watching. Amazing ramen. If you’ve had NY pizza, bagels, doughnuts, and cronuts, you may be looking for something a bit less alarming to your digestive system, and you can’t miss out on a classic Japanese soul food. Ippudo has several locations in New York, making it easy to take a break from tourist food. We all know NY bagels are good, but while there are several places that claim to have the best, I generally think they all taste the same. Black Seed definitely does not. I promise you will have a life-changing bagel experience here (All I’m saying is that one more than one occasion I have eaten multiple in one day). It’s the water in New York that makes our bagels special, but they add a touch of honey to that magic water to make it even more magical. Bliss. When you’re ready to sit down for a nicer meal, indulge in a bottle of wine, and have an experience of culinary arts, this is the place. It’s large, and always lively so you can enjoy your meal even if you’re dining alone. It’s reasonably priced for the quality of the food and well worth it if you’re treating yourself. Located in prime West Village, they feature produce from their rooftop farm in a magical setting that takes you from Greenwich to Tuscany upon entering through the doorway. Mojitos and Empanadas. Considering getting this mantra tattooed on my forehead. 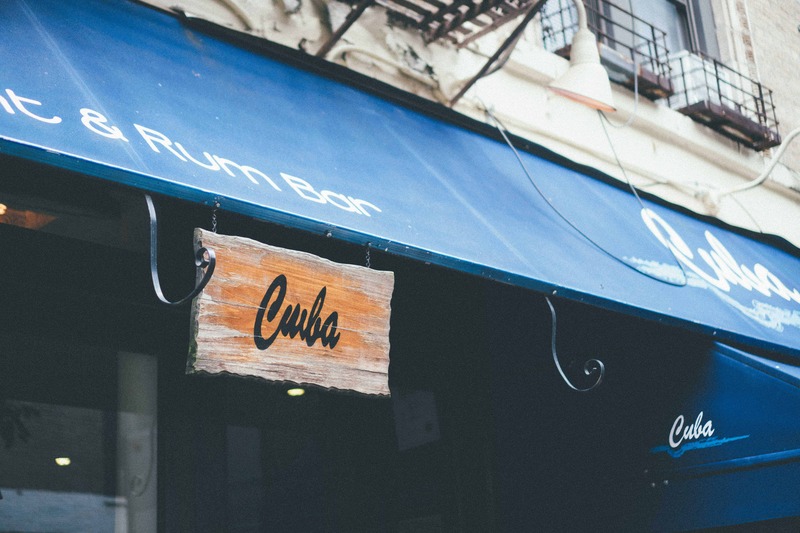 Cuba gives you the real deal. It’s a small dining space with a lot of flavors. Brunch can get crazy, but go for a quiet weekday meal. 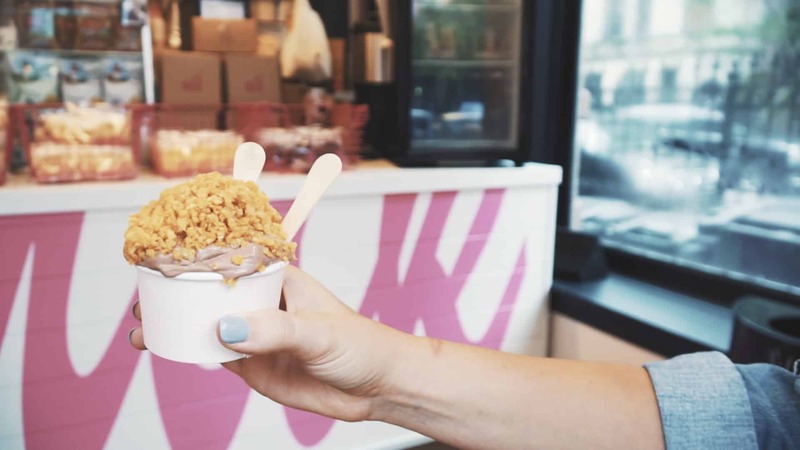 If you’re super into the sweets and find yourself on the Upper West Side, I dare you to make it through the Top 5 Desserts on the Upper West Side. It’s a challenge, so if you only choose one, I won’t judge. A cafe to sit and read a book… at least according to “ You’ve Got Mail. Full Disclosure: We earn a commission if you click this link and make a purchase, at no additional cost to you. ” I’ll take my latte with a side of Tom Hanks, please. Treat yourself to a little cheesecake and take in the quaintness of the Upper West Side. Six. Ounces. Of warm, gooey, cookie that is. Levain’s perfectly baked cookies are a dessert that will be in your memory forever. 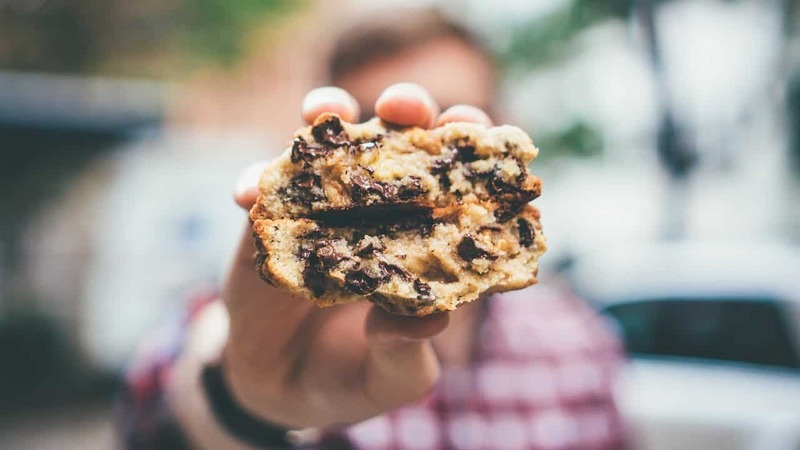 Chocolate Chip Walnut is classic, but you cannot go wrong with any of the cookie flavors. Located at W 74th and Amsterdam, it would be easy for you to overlook the tiny basement bakery if it weren’t for the line stretching down the block. Well worth the wait though, and if you deem that it’s not, there’s a second storefront right around the corner. You’re welcome. Follow their instagram if you want serious FOMO before your trip. These decadent rings of bliss come with lots of napkins and a craving for more. Go in the morning for a fresh batch, or in the evening when you can normally get two for one (Although I highly suggest heating it up before eating for maximum satisfaction). Cliche, I know, but you have to try it if you haven’t. It’s famous for its cereal ice cream, and for good reason. The first time I tried it, I audibly said OMG after every bite. I promise you’ll be able to find one within a reasonable distance, so take the time to go and enjoy. Your life will be changed, and ice cream will never be the same. So if you’re coming the New York City by yourself, just remember that this city is made of 8.6 million people that are alone. Don’t be afraid to sit in a restaurant or go to the park and read a book. Always be aware and diligent, but soak in the bliss that is independently wandering through New York.